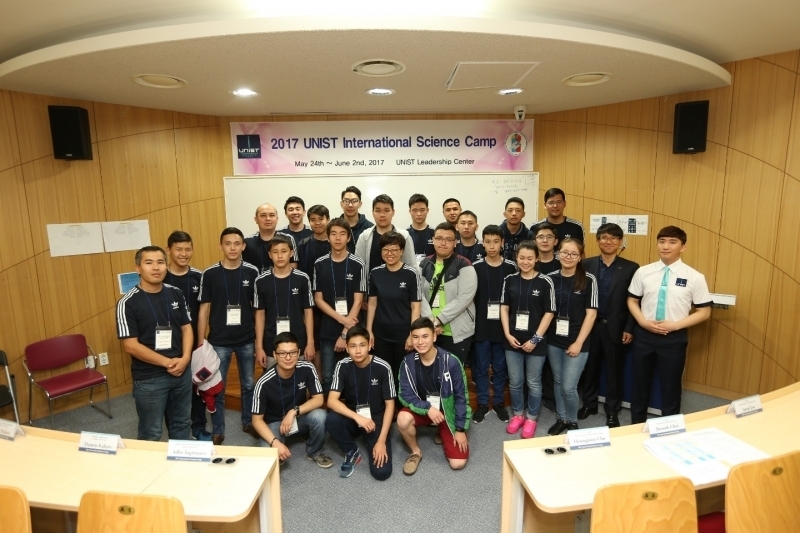 The 2017 International Science Camp will be held at UNIST from May 24th to June 2nd, inviting a national team, comprised of 20 gifted student representatives from Central Asia, such as Kazakhstan and Kyrgyzstan. This is a weeklong intensive problem solving camp, designed to help students prepare for the future science related endeavors. The primary purpose of this event is to train younger students in Olympiad-level problem solving and broaden their science, technology, engineering, mathematical (STEM) horizons. This event is not only a training camp but also a competition in and of itself. In addition to regularly scheduled courses and team projects, participants will also have a chance to experience traditional Korean culture.